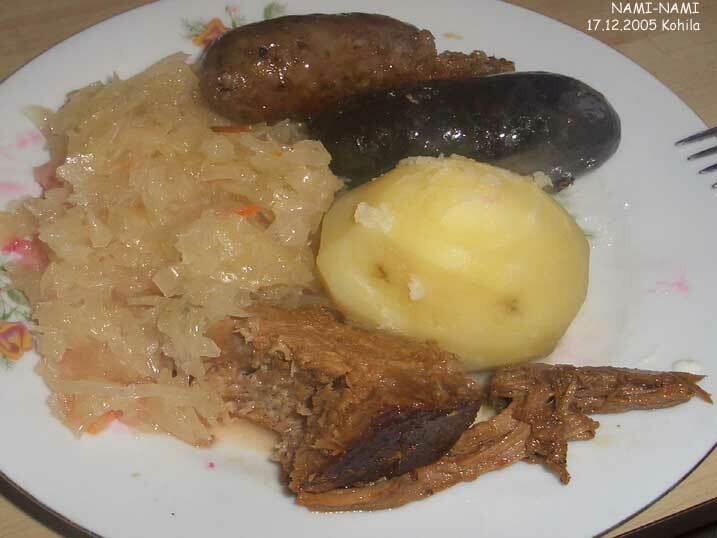 You ALWAYS have sauerkraut (hapukapsas) and black pudding (verivorstid) at an Estonian Christmas table. I've written about sauerkraut before, here's a picture of a pan full of 2 different types of black pudding or blood sausages before roasting. Sauerkraut, black and white pudding (same thing, one with and the other without blood), potatoes and a really delicious chunk of roasted wild boar (hunted my my cousin's husband). 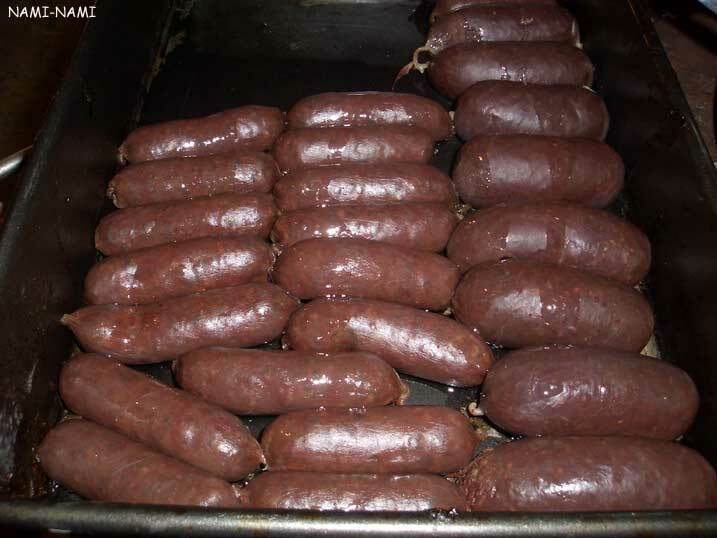 Yummmmy..
Hi Paz - maybe I can post a recipe for "verivorstid" come next Christmas? You can have "verivorst" at Estonian house in Baltimore. I get it there every Christmas. If he is estonian he knows where the Estonian House is.